The decision to move to Reno vs Nampa was based completely on financial profitability projections made by the NCHA finance committee. With the help of city development, Reno was able to offer the facility for free and included the sponsored lunches, which Nampa was unable to do. While I have noticed on facebook that there are many in favor of this decision, I know, from my conversations with many of you in Texas at the Futurity, that it was a disappointment for those of us who have wanted for the last several years to make this move to the Idaho Horse Park in Nampa, Idaho. Our reasons for wanting to move the Western Nationals event to a facility like Nampa, was to rekindle the passion that keeps the weekend show division of the Cutting Horse industry thriving by encouraging more family participation. Nampa is perfect for this, being centrally located, and a safe and family friendly venue. The announcement from the NCHA was also very specific to the fact that this is just a one year trial commitment. This gives me hope that with your help we will find a way to move it to Nampa for 2013. This leads us to the reason behind developing Gold Buckle Champions and the need for your support. Gold Buckle Champions, a 501 (c) (3) nonprofit organization…. to further the education of equine health and safety while preserving our western heritage and history by means of promoting equine events incorporating the youth and community. By making a donation to Gold Buckle Champion, you are making the pledge to promote equine sports, not based on the profitability of the shows they represent, but for what equine sports stand for. Your donation will guarantee the passing of our western lifestyle on to the next generation, sharing the grounding qualities the horses instill in all of us, the social and family bonding that this combination supports, and the strengthening of the communities where these events take place. 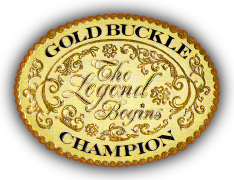 Gold Buckle Champion events will help all horse sport disciplines, everywhere. Our goal is to illustrate the positive value of what equine sports has done for the history of America. By actions, we wish to demonstrate the legendary proceedings of the men and women, unafraid of hard work, who founded the west and the lifestyle that gave them the courage it took to endure its hardships and lead them to a better life. Gold Buckle Champion events focus on not just the equine events or shows, but introducing clinics and educational seminars involving horses, local products, and cultural art forms to promote the growth of our horse sports. It also presents the opportunity for local businesses to become involved with the public to make them aware of measures to promote equine health and safety, preserve the western heritage, and provide leadership opportunities for the youth and community. Through promoting horse events we are able to bring the community together, in a barn-building way, to stimulate the involvement of our youth and their fresh, new ideas, to better the community as a whole. Our goal by establishing the “Legends in the Making” program is to reward our youth for their problem solving skills so that they can support and teach each other new ways to survive and prosper without the crutch of drugs and crime. Contributions to Gold Buckle Champion will allow us to pay for the facility rental fees, advertising, and insurance costs, and to provide assistance with promotions, in conjunction with our mission statement, to help take the burden off the organizations producing the equine events to insure their longevity and to promote membership. Foundation Grants – Foundation grants support not just the equine events, but the education, western heritage preservation, our youth and the communities. Product Donations – Gold Buckle Champion will sell/auction product over-runs from manufacturers and/or items that have exceeded their shelf life for retailers. Instead of donating your items to programs like the Salvation Army, consider donating to Gold Buckle Champion, to insure that the western life style that supports all of us continues. Proceeds from all the products donated will go to promote causes for equine events and our Legends in the Making youth programs.